Less than a month ago, Motorola announced the XOOM Wi-Fi for $599 which we all assumed was their attempt at competing with Apple along with the ridiculous amounts of other cheap tablets that were poised to hit the market. What if they weren’t stopping there though? According to our friends at Verizon, a 16GB model could be in the works. And just like the 32GB Motorola XOOM that’s available now, will be upgradeable to 4G LTE in the near future if the screenshot above holds any weight. No word on what pricing could end up at, but we’re seeing WiFi-only tablets with 16GB of storage fall in around the $400-$450 range. 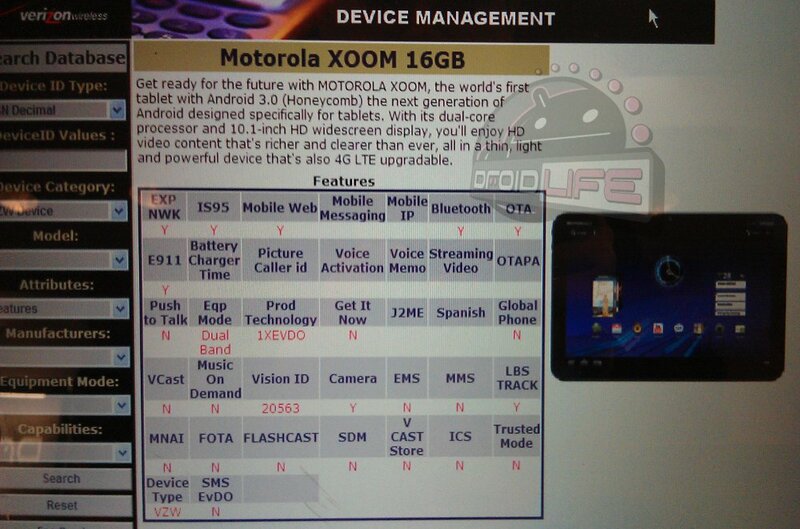 Could a 4G 16GB XOOM land on Verizon at $699 or even cheaper? And should we assume that a WiFi-only 16GB XOOM would follow as well?